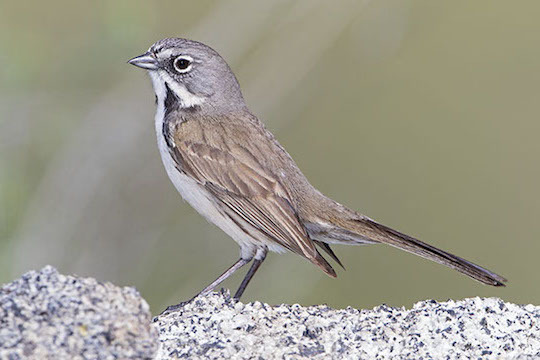 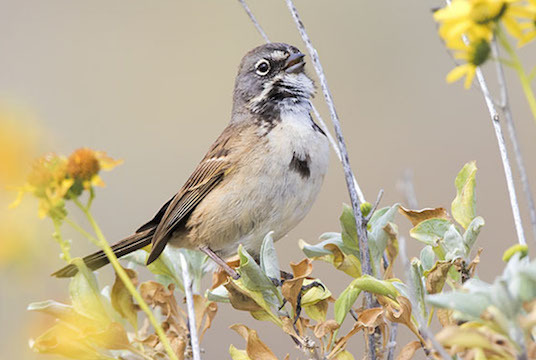 The former 'sage sparrow' has been split into two separate species, the coastal Bell's sparrow shown here and the interior sagebrush sparrow. 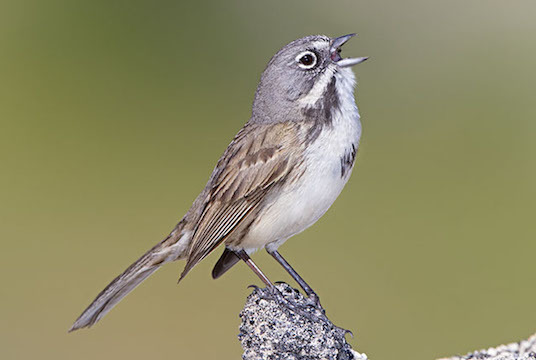 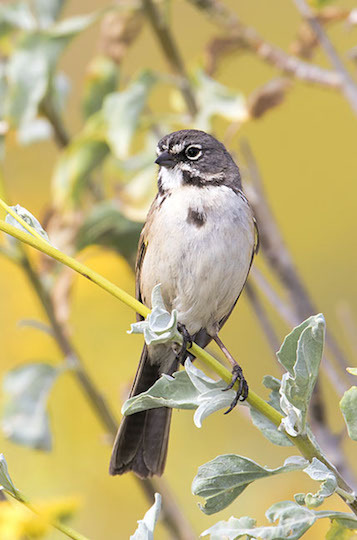 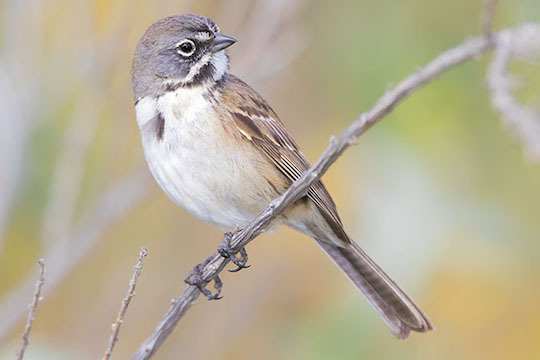 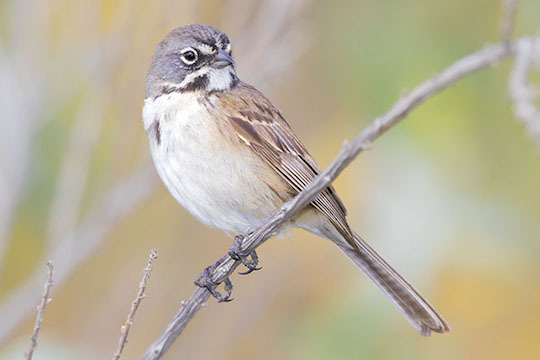 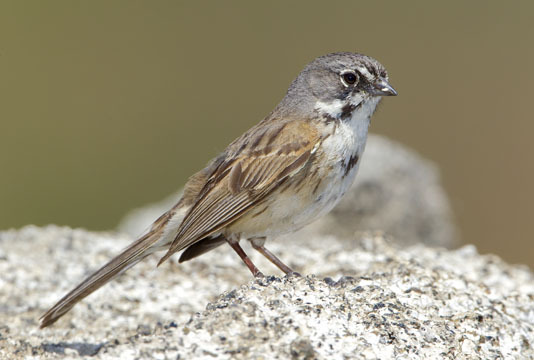 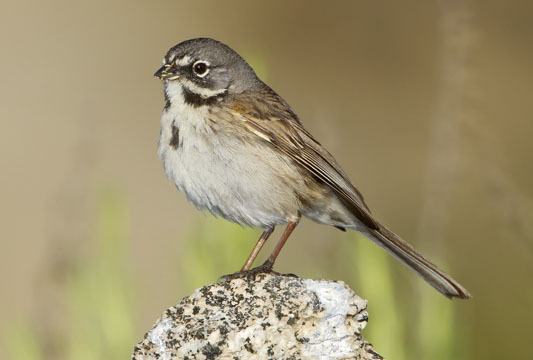 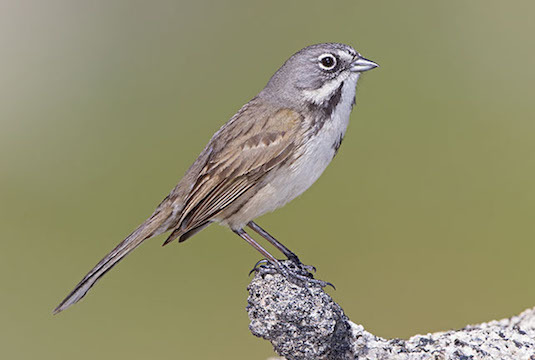 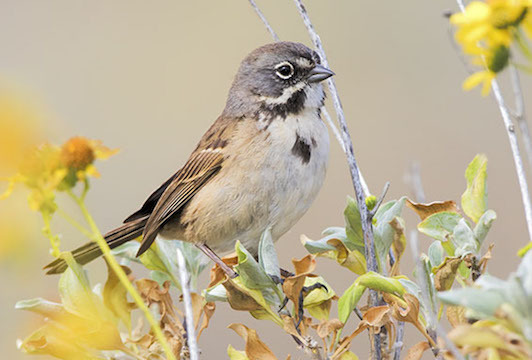 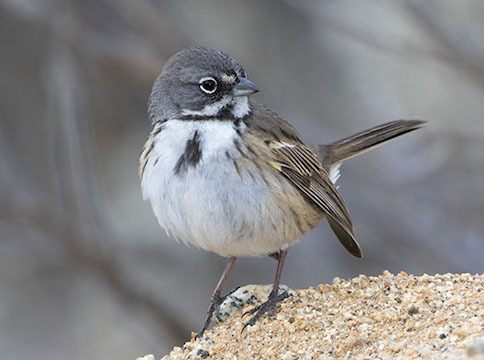 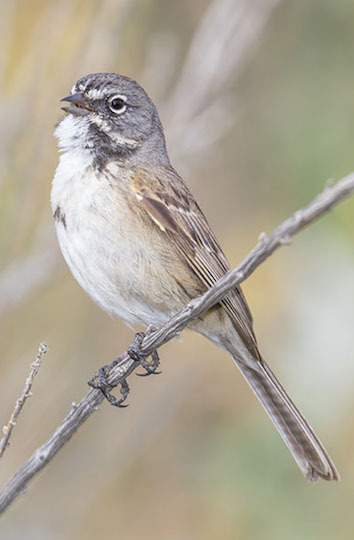 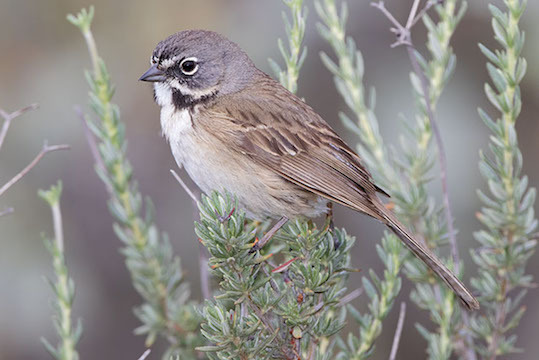 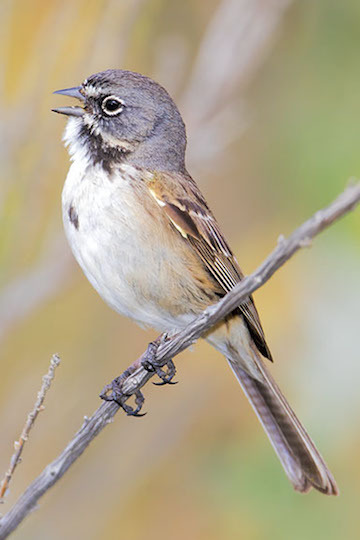 Bell's sparrows are darker than the sagebrush sparrow, and live primarily in coastal California. 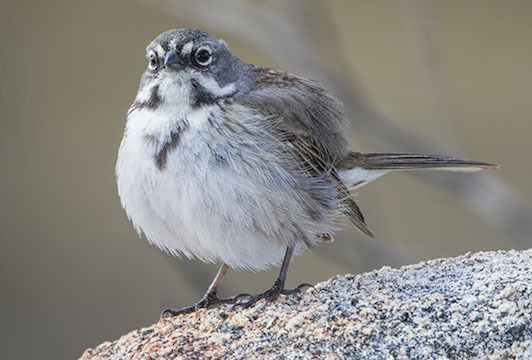 These birds were photographed near Riverside, CA.